A comprehensive compilation of melodious classic songs from the yesteryears performed by renowned artists played back to back. 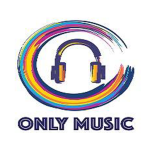 Only Music is a popular Punjabi Musical Channel which broadcast your favorite punjabi music 24X7. Watch Only Music live online and always stay connetced with punjabi music. Watch Only Music Live with High Quality On YuppTV.